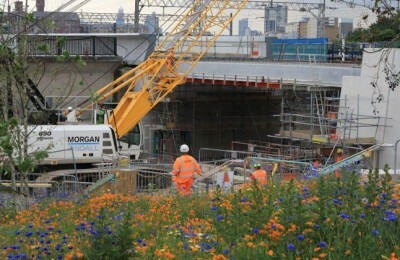 The Crossrail project is the largest infrastructure project in Europe and the largest project in the UK for a generation. It is to be expected that an investment of such scale and importance is subject to intense consideration and scrutiny and this was certainly the case for Crossrail. After a number of reports and a failed attempt at seeking parliamentary powers in the 1990s the project finally received the Government’s commitment to proceed in 2007. The structuring of the project sought to adopt the best from its recent predecessors and in particular the Channel Tunnel Rail Link project (now known as HS1) ) and the Olympic Development Authority. 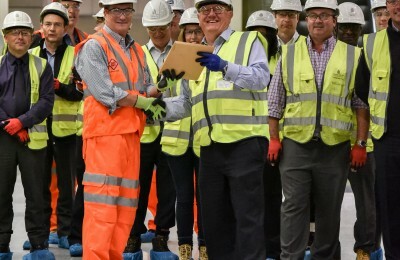 Central government and the London local government and transport authority combined to assemble the necessary funding and co-sponsor the project through an SPV style project company “Crossrail Limited”. The relationship between central government, through the Department for Transport (DfT), and the London authorities, through Transport for London (TfL), together are the ‘Sponsors’ and Crossrail Ltd is set out in the Project development Agreement (PDA). A key requirement of the PDA is the Delivery Strategy setting out how Crossrail Ltd intends to successfully carry out the project. Key to managing a programme of this scale and complexity is the programme controls process. Although there had been a predecessor company, Cross London Rail Links Ltd for the development phase of the project, Crossrail Ltd entered the delivery phase of the project with few of the necessary systems and controls required for such a major undertaking. 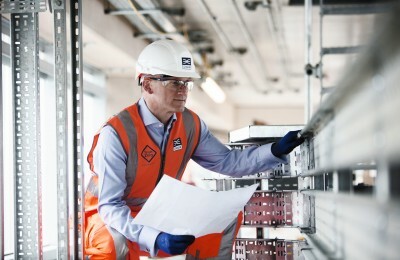 The Programme Controls section sets out how Crossrail developed a world class controls function. With activity spread across approximately 40 sites across the city and expenditure running at £140m per month, attention to quality was paramount to achieving the consistently high standards across the project and minimising rework. 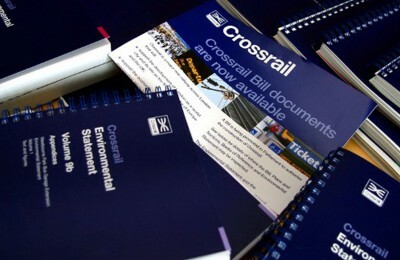 Crossrail adopted an industry leading approach to quality management across the project. 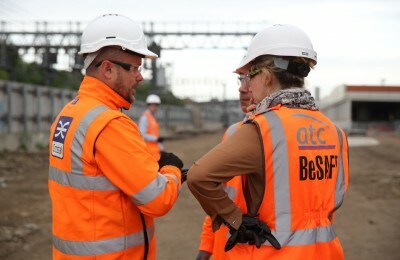 From the outset Crossrail sought a collaborative relationship with its principal contractors and the extended supply chain. Crossrail worked with its supply chain to benchmark and then achieve significant improvement across the stations and tunnelling contracts. 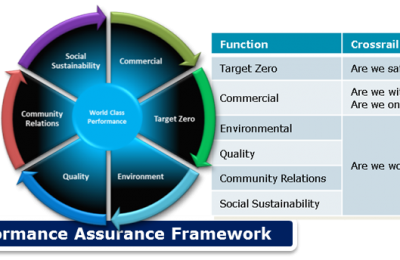 The performance assurance framework has helped drive a 54% performance improvement tracking progression from ‘Compliance’ to ‘Value Add’ to ‘World Class’. 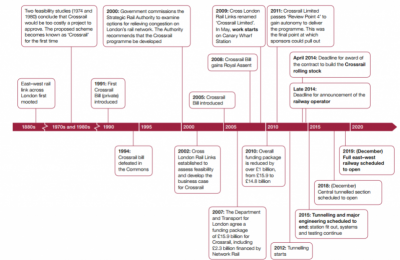 Crossrail’s vision from the outset was to safely build a world class railway for London. As part of that Crossrail constantly sought to ‘raise the bar’ in terms of industry performance. A key part of that was a commitment to consider sustainability in its decision making from day one. Crossrail addressed this at the social, economic and environmental levels to maximise the benefit from the project whilst minimising its impact on the communities and environment within which it operates. The Project and Programme Management (PPM) learning legacy seeks to share the policies, processes and procedures used successfully on the Programme for possible use or modification by future projects and programmes. The PPM learning legacy also shares insight into Programme Controls, Assurance and Quality and these will be further populated over the next 3 years plus lessons learned and good practice on Project Initiation and Development, Delivery, Commercial Management, Handover and Transition. Click on the topic areas below for further detail on the PPM learning legacy.